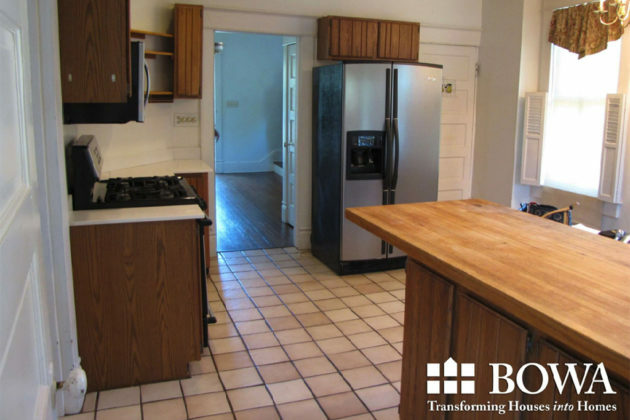 Question: We are new homeowners and we’re trying to breathe new life into our outdated poorly-functioning kitchen. Do you have any tips for us? Answer: The kitchen is my favorite room in the house, and not just because that’s where the food is! I believe the kitchen is the heart of the home and I think that’s a great place to start with your home updates. How Much Does It Cost To Renovate My Kitchen? 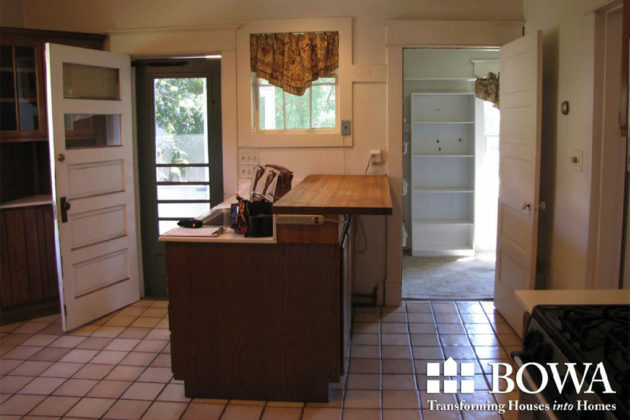 There are many different factors that go into the cost of a kitchen renovation. The size of the space, level of finish, design details, appliance package, remodeling partner and trades needed (plumber, electrical, engineer, etc.) all impact what you will spend on your project. 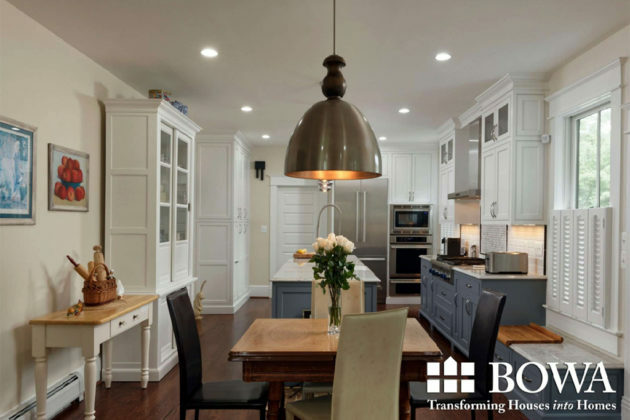 Thinking about what you should invest in your kitchen remodel is about understanding your needs, scope of work and what is the appropriate level of finish for your home. If you want to avoid “budget creep” throughout the project, I recommend finding a partner that spends the time planning up front rather than making decisions as the project is being built. My favorite trend happening right now is bright colored ranges to give a pop of color in the kitchen! In previous years, only the very high-end ranges offered these options, but we are now seeing colors available in brands that are more budget friendly, like Kitchenaid. Other trends happening in kitchen remodels are being influenced by the lifestyle choices among the population. Many people are choosing to eat more organic, fresh foods and avoid the frozen or boxed alternatives that used to be stored for months in the kitchen. Smaller refrigerators and freezers or replacing large walk in pantries with cabinets and drawers for food storage are a result in this new way of life. What Updates Are Possible Without Full Renovation? 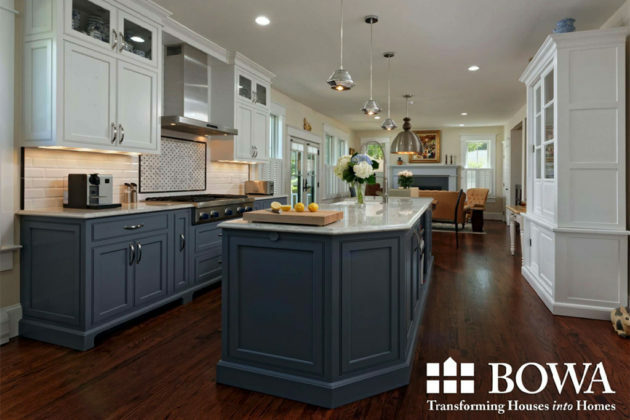 The “quick fix” updates I suggest to someone who is not looking to do a full renovation are new cabinet hardware (think of it as jewelry for your kitchen), update light fixtures and paint or refinish existing cabinetry. I also recommend doing a “pull and replace” remodel. This means sticking with the same size cabinets (to avoid drawings by a designer or architect), keeping all existing locations for plumbing, gas and electric and only updating the finishes (cabinets, tile, countertop, plumbing fixtures). What Durable Options Are You Using In Your Kitchens? I recommend using a Quartz product if you are looking for a durable counter top material. Quartz is an engineered stone that is made to look like a natural stone minus the maintenance. There are hundreds, if not thousands of colors and patterns available and since it is manmade — there is much more consistency from slab to slab. Finally, our favorite advice “buy well, cry once.” Big box stores may carry the same brand, model number and style fixture of a product offered at a plumbing supplier, but they typically have much different internal construction. Paying more upfront to get a professional grade fixture will prevent costly plumbing bills down the road. If you have any remodeling questions, call BOWA at 703-734-9050 or email [email protected]. Here are some inspiring kitchen designs in case you’re looking for ideas. If you’d like more information, or would like a question answered in my weekly column, please reach out to [email protected]. I hope to hear from you soon. Val Sotillo is a licensed Realtor in Virginia, Washington DC, and Maryland with Real Living At Home, 2420 Wilson Blvd #101 Arlington, VA 22201, 703-390-9460.